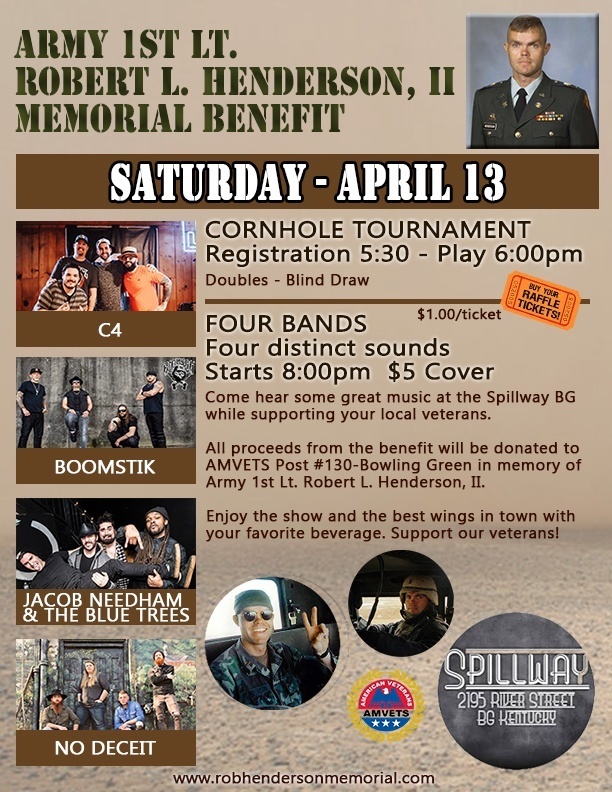 Jacob Needham & The Blue Trees were invited to be one of four bands performing at the fifteen year anniversary event for Army 1st Lt. Robert L. Henderson. We quickly agreed to be a part of this event as our way to honor this soldier, his family, and their ultimate sacrifice and service to our country. We hope you will come out to this memorial event and support this cause. $5 cover at the door. All proceeds benefit AMVETS Post #130 – Bowling Green, KY. Rob was born and raised in Bowling Green, Rockfield specifically. He was a graduate of Warren Central, and attended WKU. He worked at Krogers while in high school and then at Lowe’s where he joined the management team. He joined the KY National Guard at age 17 where he proudly served for 16 years. 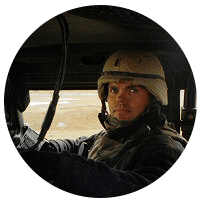 He left for Iraq in January 2004, he proudly led the members of 2123rd transportation unit out of Owensboro, KY.
On April 17, 2004 he was leading a convoy when they came under attack. Although mortally wounded, Rob continued to drive to get his men to a position to return fire. Many attribute his quick actions and leadership for their survival. Rob left behind a widow (Lisa), unborn son (PJ), mother, sister, and many friend and extended family.